ibis budget, the relaxed, money-saving brand within the ibis family, introduces its freshly-renovated bedrooms that provide even more comfort at a modest price. Post-makeover, we guarantee all guests will enjoy the same quality hospitality – whether their room is booked for one, two or three people. ibis budget now boasts 561 hotels, offering 54,231 rooms in 17 countries. Each of them guarantees a good night’s sleep in generous-sized and cosy beds. The old bunk beds have been replaced by a double bed and an additional pull-down bed, equipped with ibis budget’s new bedding concept Sweet BedTM. The room design has been totally rethought to optimise space and make sure all occupants enjoy the same level of comfort*. 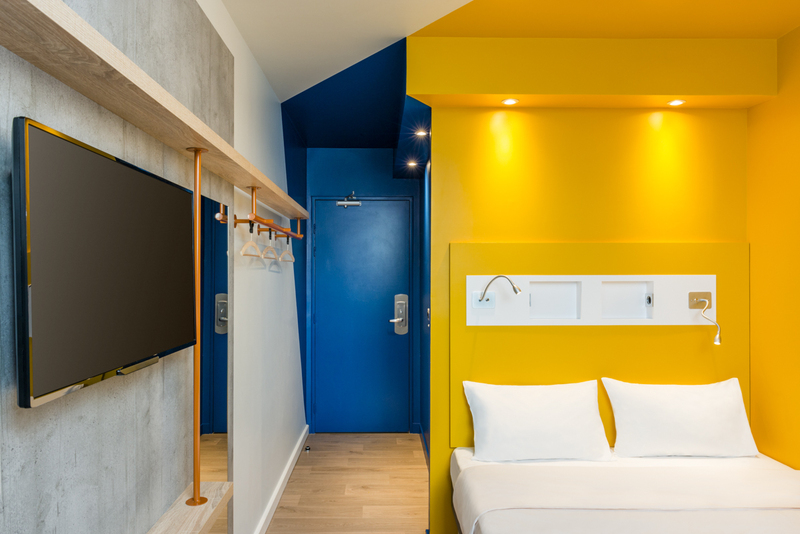 If it’s nifty, cozy and at a dream price, then it’s ibis budget, AccorHotels’ budget brand.